The death of a spouse and divorce bring an emotional burden, but sadly such catastrophic events also cause financial trauma. In fact, the death of a spouse or divorce are both common reasons why people file bankruptcy. Without proper financial planning, my clients find themselves unable to cope with existing debt and often take on new debt to pay the bills. Doris Belland, our guest today was left with $400,000 in debt after the death of her spouse. After struggling to repay that debt and rebuild her finances, she embarked on a mission to learn more about how to cope financially with a traumatic event like a death or divorce and now works as a financial literacy educator to help people be prepared when it comes to money. Our advice today is good for anyone struggling with debt or who want to be prepared financially for any unexpected life event including job loss, illness, divorce or the death of a spouse. If you’re like most people, you likely don’t know how vulnerable you are. We go through life expecting things will turn out well – our marriage will last, our spouse won’t die at a young age. Playing the what if game, can help you and your family uncover your financial risks. Could you lose your job? You might think there is just no way you could be laid-off from work. Even if that’s the case, it doesn’t hurt to ask yourself, “what if I’m let go tomorrow?” Do you have enough saved up to support yourself until you find a new job? What would you do if your spouse dies? Could you handle being widowed or a widower? Could you maintain your lifestyle? What do the kids need? What if your spouse left you suddenly? Do you fully understand all of your joint debt obligations? Could you survive if your were suddenly single and relying on only one income or no income, in some cases? What if you or your spouse suddenly became ill or were injured? What if you got into a terrible car accident and couldn’t work? Do you have disability insurance? Can you cover medial costs and living expenses? Make sure you have a valid and up to date will, even at a young age. Have sufficient insurance. Many people underestimate how much they will need. Have a signed power of attorney to deal with assets. These are good starters. To protect yourself even further create an emergency fund. If divorce is your worry, deal with any joint debts and think about if it’s time that you create a separate bank account so that you have some money set aside to help you through the process. One of the reasons that women often find themselves in financial trouble is that they lack confidence when it comes to dealing with money. Doris points out that men are more willing to ask questions and take financial risks. Its true women face unique challenges when it comes to money; women face an income gap – they earn less than men on average, they are more likely to take time off to raise a family. Women also face a wealth gap (assets you could sell for money) – typically 36-50 cents for every dollar a man owns. This wealth gap has a much bigger impact on your long-term financial stability, and Doris believes this is what you need to address. Begin by paying down debt. If you carry consumer debt like credit cards debt, paying this down should be your top priority. When it comes to paying down debt, Doris recommends defining what your values are, what’s important to you. If you like your gym membership then keep it. But cut back on expenses in areas you don’t value. Doris paid off her debt by sacrificing everything for the first two years, a plan she wouldn’t recommend as it’s hard to maintain. She suggests growing your income as this will have a more significant impact on reducing your debt. Have a budget and track where your money goes. Once you’re out of debt, automate your savings and think of where you want to invest. Join a coaching group like the one Doris offers in Ottawa. Read some personal finance books. But most of all, ask a lot of questions. 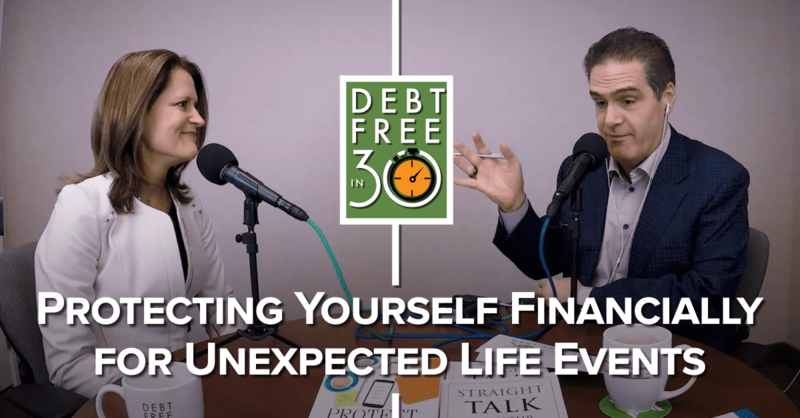 For more detailed information on how to protect your finances from life emergencies, tune in to today’s podcast or read the complete transcription below. 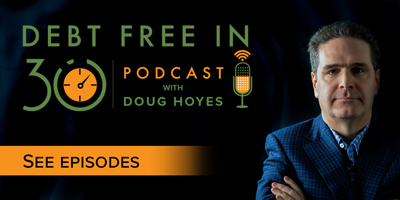 Doug Hoyes: My guest today has a fascinating story. She ended up, at the age of 32, with a business with $400 thousand in debt after the death of her first husband. She climbed out of debt, built a substantial real estate portfolio, and now she uses all of the lessons she learned during that period to help women, and men, create better financial options for themselves and their families. Her advice is great for anyone struggling with debt and money questions, male or female. What exactly is her story? Let’s find out. Let’s get started. Who are you? And what do you do? Doris Belland: So, I am Doris Belland. I am a financial literacy educator and, in a nutshell, people say “What is that?” So, in a nutshell, I teach workshops and I run a women’s money group to help people rock their finances and feel a lot more confident about money. Doug Hoyes: Excellent. Well thanks for being here, Doris. Doug Hoyes: We’re in my Ottawa office recording this, which is where you are based out of. So, I encourage everyone listening to this to go to Amazon and get a copy of your book, “Protect Your Purse: Shared Lessons for Women, Avoid Financial Messes, Stop Emotional Bankruptcies and Take Charge of Your Money” which has, in my view, the most page-turning first eight chapters I’ve ever read in any personal financial book. It reads more like a novel than a personal finance book to me. So, can you briefly summarize those first eight chapters? You know, how did you end up at the age of 32 with a business that had all of this debt? Doris Belland: Right. I was a doctoral candidate. I was working on my Ph.D. in my 20s when my first husband became very seriously ill. He had had cancer the whole time I’d known him, but it flared up and got much more serious at that time. So I took what I thought was going to be a one-year leave of absence to go support him, his business; it was having a hard time because he was so ill. And then the cancer just kept going. He just deteriorated. So in fact, I never went back. Six years later he died and I found myself inheriting a business that required him to run it, the engine. So I had essentially no income, and I inherited mostly $400 thousand of his business debt. So that took my life… I was supposed to be a professor, right? Things were going so well. It was fully funded. And it changed everything, because now I find myself with nothing. I am bereft. I am $400 thousand in debt. So what I did is I – at that moment I made a decision. I thought ‘I’m going to pay this off and I’m going to figure out what just happened to make sure it never happens again’. So I paid off all that debt in two years, and then have spent the intervening years studying how does money work. How do we prevent this kind of trauma from happening to anyone? And then how do we build a rock-solid financial foundation? Doug Hoyes: And so, it’s quite a story so that’s why I say, you’ve got to read the first eight chapters. You’ve done a very good job of summarizing it by this… And when you read it, you tell people what’s going to happen at the end, but it’s still a real page turner as you go through it. So what then led you to write this book? So the researcher in me kicked in and I started interviewing widows and divorcees, because they find themselves in pretty much the same boat that I was in. Divorce is very similar to loss and it turns out that there’s a lot of commonality. So when I realized that there was something more at play, this isn’t just one woman’s sob story, that’s when I thought ‘I have to share this’. And these women had terrific advice as well. I add that in the book. So I talk not only about what did I learn, so I, you know kind of stepping back as a researcher, which is what I am fundamentally, and saying “What did I learn here? What just happened?” sharing what I’ve learned and what I would recommend to others to set yourself up so that you can withstand those kinds of traumatic events. But these other women had tremendous advice as well, and it’s all in the book. Doug Hoyes: So you’re not just one weird data point. Doris Belland: I am not one weird data point I’m very pleased to say. Doug Hoyes: That’s good to know. That’s good to know, good to know. So, and I would agree with that because obviously in my work I’m dealing with people who have gone through life events. It could be divorce, could be a loss of a spouse. And when you’ve got two incomes, that’s a whole lot different than when you’ve got one, and that certainly leads to a lot of financial problems. So in the book you talk about – or maybe this is one of the reviewers who mentioned this – playing the what-if game. And I know it’s not a game, but can you explain what you mean by that? Doris Belland: Yeah. I do talk about that in the book. It’s one of the things that I recommend. Part of what happened to me, and part of what I’ve seen in my work since then in working with families, I spent 10 years working as a financial repair specialist, and part of what I see is that people have no idea how vulnerable they are. And it’s not because they are uneducated. It’s not because they’re dumb. It’s just that we go through life and our biggest weaknesses are the ones we’re not aware of. That is a mechanism to try to uncover those vulnerabilities. What you do is you simply say ‘What if? What if my spouse left with the barista from Starbucks around the corner?’ right? ‘What if I found myself widowed or a widower tomorrow? What would that do to my ability to earn money, to maintain our lifestyle, to deal with the kids?’ It’s a way of approaching your life and putting all sorts of, granted, not fun scenarios on the table and just saying ‘What impact would that have on me?’ And that’s a heck of a way to uncover the weak spots in your finances. Doug Hoyes: And that’s why people won’t do it, or don’t want to do it, because okay, so you want me to focus on all the bad things that could possibly happen. Doris Belland: Right. And in the book, the point that I make, I think the biggest lesson from all of these people that I interviewed, not one of them saw it coming, whether it’s a death… And people said “Well your husband had cancer. Didn’t you see it?” And at the time I absolutely did not see it, because I was so committed to his wellness, to his rehabilitation, to helping him out, I didn’t see it. My case was more obvious, but there are so many stories in the book of women who blindsided, you know a divorce where suddenly you wake up and your partner you find out has been cheating for years etcetera. Meanwhile, there was no evidence of that in their life. There’s just a bunch of stories in there where I say nobody saw it coming. And that’s why, it’s not fun, but we have to do this. Doris Belland: Yeah, yeah, yeah. Doug Hoyes: Okay, well chances are no, you won’t be. Things are going to change. Doris Belland: Yeah, we’ve gone through 10 jobs in that time. Doug Hoyes: Yeah, probably. That’s how it typically is. Doug Hoyes: So you’ve got to think ahead. So, as a result of that then, and I totally agree with what you’re saying, I sit down and I go ‘Okay, what if this happens, this happens, this happens?’ And your book goes through a lot of examples of things that could go wrong. So what then are the planning points I need to put in place when I realize that? So you know, what if my spouse dies? Okay, so that’s a possibility, so what should I be doing now to prepare for that? Doris Belland: Right. When people ask me, “How do I protect myself financially?” I start with what for me are the three non-negotiables. So the very first document is a will that is up to date. So you need a valid will. It needs to be up to date. If you did it 10 years ago that’s great, but you need to revisit it whenever there’s something material that changes in your life. Or even your executor, maybe you’ve lost touch with your executor. You named them, you know, 15 years ago, you haven’t talked to them in 10 years. Doug Hoyes: Well 10 years ago you didn’t have kids. Doris Belland: Right, that’s it. Doug Hoyes: That’s a different thing. Doris Belland: Yeah, you know. Or you lose somebody. That changes things. So you need a valid will, that’s not negotiable. Sufficient insurance, and I say sufficient because everybody goes “Yeah, yeah I know we need life insurance”. What they don’t know is that they need sufficient life insurance. And everybody underestimates how much they actually need. So the value is huge in sitting down with an insurance professional and starting to look at, okay what’s going to happen. And this is where the what if comes in, right? So your husband dies or your wife dies and now what do you do, because now you’re having to – are you going to go to work the next day? No you’re not going to go to work the next day. How are the kids going to deal with this? You know, what about college? Now you maybe have one income whereas before you had two. What do you do about the debt that you’ve just inherited with all the joint credit cards etcetera? So there’s a lot of stuff you look at and you say ‘If somebody dies, I need to make sure that I have the space to heal’, because it honestly took me two years to feel human, right, after the death of my husband. And that’s quite apart from all of the trauma, the financial trauma that I had. So there’s a lot of stuff to consider. So, sufficient insurance is number two. Number three is power of attorney for real estate. So you need to be able to make decisions if your spouse becomes incapacitated. Do you need to access money in your home? Do you need to, you know, re-mortgage the home? Maybe you’ve paid off the mortgage, now you need to slap another mortgage. If you’re both on title you can’t do that alone. Do you need to sell the house? So you need the ability to make those decisions in the absence of having your partner around. So those are the top three. And then there are others if you want to swing for the fences; disability insurance is another one, huge for people who are self employed. Getting your name on as many assets as possible and getting them off as many liabilities as possible. So I go through in my book a huge list of things to consider, but that’s where I would start. Doris Belland: But you know what? I’m going to stop you right there because a lot of people talk about mortgage insurance and they say “Oh I’m good, I’ve got mortgage insurance”. It is not cheap to die. Let me just say that right out of the gate. Doug Hoyes: It is not cheap to die. Doris Belland: It is not cheap to die, right? It costs a whack load of money. And I put my first husband at his father… We talked about what would be appropriate for him, and we put him in a pine box and everybody drew on the box and it was deeply touching. That was about as cheap as you could go, which is what my husband would have laughed at and loved. Even that cost a small fortune for somebody who had no money at the time, right? I had debts. So it’s not cheap to die. Don’t just think about the mortgage. You need to think well beyond the mortgage. Start doing the what-ifs. So okay, you’ve paid off the mortgage, now what? One of the women I talk about, Barbara, in the book, her husband, professional athlete, drops dead height of, like full health. She’s eight months pregnant. Doug Hoyes: Well, and if you’re going to be giving birth to twins in a month, how are you paying expenses and all the rest of it? Doug Hoyes: You’re probably not working full time during that process. Doris Belland: And she’s self employed. Doris Belland: So this is someone I know who’s self employed. So when she stops working her income stops. Doris Belland: Depends on the guy. Doug Hoyes: I know, nothing wrong with that. There’s nothing wrong with that. So this is, I mean, obviously directed more at women than men. So I guess question number one, like what do you got against men? Why are you focusing on women here? Doris Belland: I get so many men ask me that. They’re like “What?” Believe it or not, I get as many readers who are male as female, because I say money is money. It works the same way. Debt works the same way for everybody. Repaying debt, getting into debt is all the same for everybody. The reason I focus on women is because my research from the time this happened to me has uncovered the fact that women are far more financially vulnerable than men, which is – before there’s an outcry from your readers – not to say that men are not also vulnerable. It’s just that there’s a huge gap. And it boils down to two key things; they earn less and they have less. They earn less, and everybody knows about the well-documented income gap, which is sitting currently roughly 20%. Millennials have it a little bit better but still there is a gap. So right out of the gate women are earning less. And she’s the one who demonstrated the wealth gap and why this is a much bigger deal for women. She showed that men have – for every dollar of wealth that men have… And by wealth, very simply, the stuff you have that you could sell for money minus the amount that you owe, that’s your wealth, whatever’s left, right? And she said that has a much bigger impact on women’s ability to be financially resilient, or everybody. For every dollar that men have, women have a mere 36 to 50 cents. So at best, on average we have half the wealth that men have. And that has significant consequences down the road when stuff happens. Doug Hoyes: Do you know why that is? Doris Belland: So her book, this is an academic book. She does a great job of looking at many, many factors. She uncovers, some of them are built-in, they’re structural. She talks about the wealth escalator. So men for example, when a couple has a child, typically it’s the woman who stays at home with the child for some period of time, whatever that period of time is. She talks about the wealth escalator. So guys are on the wealth escalator. They’re getting experiences. They’re involved in projects. They may be getting raises. They’re building RRSP – well she’s an American so she talked about it from American. But to translate that to Canadian, they’re building RRSP room. They’re having more investments. The women all this time are off. They’re not making the contacts. So that just compounds the whole issue of income and wealth. And there’s an almost universal lack of confidence, not across the board. They feel pretty good managing money, but for all of the bigger stuff they have a tendency to either delegate to the men in their lives, or they simply don’t invest. Or when they do invest they will do stuff like GICs, which they perceive to be very safe, because remember, they’re terrified of losing money, right? They’re like, “Money’s a hard thing to get. If I lose it it’s gone forever.” right? Whereas men tend to be a little over confident; they’re like “Oh I lost it, I’ll make it back.” right? Women are like “That’s the end of the world. I’ve lost it. It’s gone forever.” So they’ll invest in GICs. They barely keep pace, and typically not, with inflation. So by the time you consider taxation on that interest income and then the impact of inflation, you basically have – they’re like, ‘Oh but my principal is guaranteed’. Yeah but the value of your dollar has eroded over time. So something that is in fact considered to be safe by them turns out to be very risky for their future health. Doug Hoyes: So, when you look at the difference between men and women then – so you just mentioned one, confidence. Men are over confident. Doug Hoyes: Women are under confident I guess. Doris Belland: And this is not me saying this by the way. This is the data showing this, yeah. Doug Hoyes: Yeah, and that kind of make sense to what you’re saying. Now you also said money is money. So what are the other differences between men and women? Is confidence the primary one? Doris Belland: Confidence is the primary one that I’ve seen. So, you know when you and I were talking you said “Is there any difference between how people handle debt?” Debt is debt. You know you get into it in the same ways. You over spend. You under earn. It’s the same thing for men. It’s the same thing for women. Maybe the reasons differ a little bit. Women have a tendency to get into debt when it’s not consumer debt, it’s to protect their children or as a result of divorce, right? Now they’re having to mitigate cash flow deficiencies with credit cards. So maybe there’s a tiny difference in terms of the reasons. I won’t claim that that’s statistically significant. I’ve not studied it. But really, I don’t see a difference beyond that. Doug Hoyes: So what is the solution then? So you obviously advise women. You’re running workshops. You’ve written a book. So what is your advice for women then to, you know, bridge this gap as it were? And so when they’ve got their financial advisor there for example, their husband does all the talking, they don’t ask. And sometimes I was talking to C-level executives. These are highly-trained women, and some of them even in areas of finance, who feel stupid by what they don’t know, so they clam up. They don’t say anything. So there’s a two-fold, I think, solution to this which is, one – and the reason I created in February a women’s money group which is exclusively for women, is ongoing education where we tackle different aspects of finances, where women can learn in a safe, non-judgemental environment. In fact, I say “Ask all your so-called stupid questions, because they are absolutely not stupid”. So you give them a safe environment where they can ask their questions, start to build out their financial literacy, grow that depth. And then confidence is built one way and one way only, which is through action. You will never become confident just reading about people who are confident. You might feel more confident, but really the rubber needs to meet the road on that one. So that’s about doing. And you need a supportive environment. You need people who are going to be there if you make a mistake to say, ‘Hey listen, it’s okay. We all make mistakes.’ You’ve got to get your hands dirty. So if investing is what you fear, learning about it and actually doing it is the way to become more confident. And I can back that up by, you know, just the women I’ve seen since February who come every single month and we talk about different aspects of finances. And they’re doing stuff, because I follow it up with a webinar and they have goals, right, things that they, tasks that they’re off to do. And I’ve seen them. In just a handful of months you see the difference. You see the difference in how they feel and how much more they talk about money, and in what they’re doing. And the proof’s in the pudding, so it’s about doing. Doug Hoyes: And so if you were to do a seminar that just had men in it, or that had men and women in it, men would have no problem asking stupid questions? What I did is I created a co-ed workshop. My first one’s going to be in February of 2019. I’ll get back to you on that. But what I have seen presenting in – so I’ve done a ton of presenting in the real estate world, the how to etcetera, and what I can tell you is men have no problem asking questions and the nitty-gritty, or even admitting that they don’t know something. ‘Listen, how would you do this? I’m just starting out’ right? Women have a much harder time. They will come up to me privately and ask those questions. And that’s not to say all women, because some are certainly very confident. They’ll stand up anywhere, they don’t care. But there’s a huge swath of women who prefer to do this privately so that they don’t – I think they’re afraid of looking or sounding stupid. Doug Hoyes: ‘I want the answer’ yeah. Doug Hoyes: So what you’re really saying is don’t worry about what everyone else thinks. Like, get on with it. Doris Belland: Hundred percent, hundred percent. Doris Belland: But I acknowledge though that, if you’ve spent a lifetime feeling like you don’t have confidence in a particular area, having somebody say ‘Oh just get on with it. Stand up already and ask your question’, that’s not going to get the job done, right? That’s why I have environments where, for these women, they feel safe to stand up. And even then, in a room full of women, some of them, like the hand goes up, it’s like the micro movement, right? And I see that. And it takes a lot of encouraging, and some women it took three or four meetings for them to finally pipe up and say “I have a question”. So it’s not enough to just say ‘All right, just get over it’, right? Doug Hoyes: It’s got to be a little more than that. Doug Hoyes: So okay, so let’s talk about a couple of other issues here. So in the title of your book here, “Shared Lessons for Women, Avoid Financial Messes, Stop Emotional Bankruptcies”. So, what do you mean by that? What’s an emotional bankruptcy? Doris Belland: In the world of finance, a bankruptcy is when you can no longer service your debt. You’re drowning in debt so you declare bankruptcy. The same concept holds emotionally. So when you go through a financial trauma, it is so overwhelming at times. And I know you’ve had clients who, or still have clients who are in that position. I get it because I’ve been there. It’s where there’s so much going on, the problems are so severe that you just think ‘I can’t handle this’. Like, you almost short circuit your brain. It’s never fun to go through a bankruptcy or a consumer proposal or a divorce or whatever, a loss of job, an illness. But if you have that solid financial foundation you’re going to say, ‘Oh this is no fun, but I can handle it.’ And that’s the difference right there. Doug Hoyes: And again, going back to the what-if game then, that’s really a pretty key component of that as well. I gave her a list and I said, “Well first thing is you need to open your own bank account”, because they had joint everything. Anyway, so I gave her a list of things to do. Fast forward nine months later, she has been through – so they have separated. She has gone through some very unsafe moments for herself and her child. She has a counsellor and she has a divorce lawyer. And both of them sat her down initially down at their first meeting and said “You know what? This is not going to be fun, but here’s what we need you to do. This is going to be super hard.” And they gave her a list of things. That’s the difference between an emotional bankruptcy and just an emotional impact, right, the trauma. Doug Hoyes: Yeah, it’s interesting, your point about bank accounts, because every single client who comes in to see us we say exactly the same thing. ‘Well, if you’re going to end up going bankrupt, you can’t – and you owe money to bank ABC, you can’t still be banking at bank ABC.’ And joint accounts are certainly an issue as well. So yeah, that’s kind of a basic procedure. Doris Belland: It’s going to be a bigger hassle if they don’t. Doug Hoyes: Yeah, but it’s going to be a bigger hassle if they don’t. Doug Hoyes: It’s pretty much as simple as that. Doug Hoyes: So, now we talked about the wealth gap and the income gap, and I think we’ve covered that, how in your mind the wealth gap is even a bigger problem than the income gap. Doris Belland: They’re both a problem. Let’s just be clear. Doug Hoyes: And I guess one kind of leads to the other. Doug Hoyes: Right, the income gap kind of leads to the wealth gap. And so, back to what the practical advice on that one was, can you state that again for us then? So if I’m sitting there and I’m worried that, you know wealth is a problem, income is a problem. Doug Hoyes: And so it’s not as simple as to say ‘Well, you’ve got to get a better job’ or something like that. Doug Hoyes: What are the practical steps then that can be taken to help alleviate that? Is it again what you said, you know, you’ve got to play the what-if game? You’ve got to take concrete steps, or…? Doris Belland: That depends. I’m not sure what your question is. Is your question about how to protect themselves financially? Doris Belland: Yeah, so put those documents in place. But if they’re looking and saying ‘Okay, so I’ve got the documents in place, now the question is do I have debt or don’t I have debt’, right, because those are two very different scenarios. If you have debt, that becomes your most pressing problem. And you and I were talking a little bit about is wealth really the bigger determinant of financial resilience than income. Listen, if you do not have enough income to pay for the necessities of life, what you physiologically need, that is your highest priority. But assuming that you have enough income for that, the question becomes, okay, what now. So do you have money habits that are leading you and keeping you in debt? That’s your next biggest priority, because there’s no point saving if you’ve got credit card debt. If you’re paying 18 to 25% interest, no sane investment is ever going to yield that. And if your Uncle Bob comes and offers you that, walk away, right. No, run away. So you’ve got to deal with that first. Doug Hoyes: Yeah, you’re absolutely right. I get people come in here and they’ve got all this credit card debt but they’ve got $3,000 in a TFSA. Doug Hoyes: Okay, well you’re earning 0% on your TFSA but you’ve got 20% credit card debt. Doris Belland: I would argue, so here’s what I would do. I would automate something, a trivial amount of money to develop that muscle and that habit into the TFSA. So you know what? Twenty bucks a month is not going to kill you, right? Do that, if only to develop that muscle of saying, no, saving and investing is a priority. I would absolutely do that. But if you’ve got credit card debt and consumer debt that is outpacing what you would ever earn in an investment, you have to tackle that first. I was like, “No, but you need to make sure that you kick it to the curb”, right? This isn’t just pay off my debt. 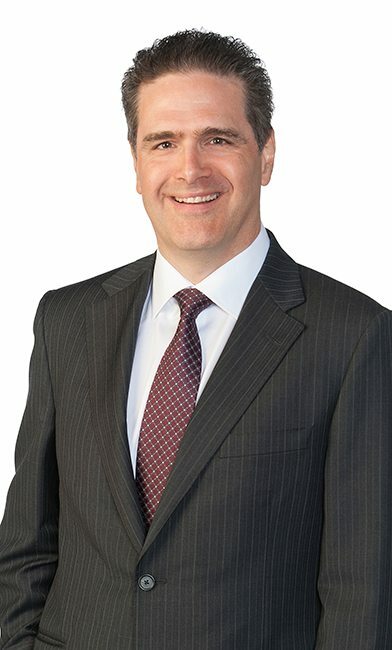 Because what I’ve seen happen with clients is that, you know I work with them for two to four years – I don’t do that anymore by the way, but when I worked with them, I would hold their hand, put together a plan, and they would pay off tens of thousands of dollars worth of debt, get into fantastic shape. I let go of their hand, I say “Hey, good job you guys, congratulations.” And then they revert back into the old patterns and they slide right back into debt. So what I’ve realized, it’s not enough to pay off debt. You need to figure out what got you into debt in the first place, because it is those patterns, those beliefs, you know, that you need to root up and say ‘Okay, we need to change those’. Once you do that, then to narrow that wealth gap – narrowing the wealth gap starts with paying off debt, but then you need to learn how to invest. And that’s the critical thing to learn, how to grow your money. That’s not rocket science. Doug Hoyes: And obviously that’s why my firm exists. If you’ve got so much debt that you could never hope to pay it back off, then okay, you’ve got to do a proposal, a bankruptcy, something to clean it up. Doug Hoyes: So, now you say there are no stupid questions. Doris Belland: Pretty sure they’re not stupid. Doug Hoyes: We won’t go there. How much should I put into bitcoin? That’d be a good question there. Doris Belland: Zero or zero. Doug Hoyes: Yeah, there you go. So what are the top questions about debt that you get asked? And the first one that came out of so many women was, “Should I pay off debt? Or should I save money?” right? That’s the number one question that I get asked. And they’re paralyzed into inaction because they don’t know. They’re afraid of making the wrong choice, so they don’t do anything. And I say, “Look, both is great”, right? Both are great. So you can save money, you can pay off, and nobody’s going to go ‘Oh, well that was a dumb thing to do’. But if you’re asking me which is most effective, then back to the debt. What is the debt? If it’s a 3% mortgage on your house, it may be worth it to you. Pay that off. But invest, right, because that’s going to give you a much bigger bang for your buck, assuming you’re doing investing with a research-based approach etcetera. If you have credit card debt, it’s a no-brainer. That has to go. So you start there. But that’s by far and away the number one question. The second question that I get asked is “How’d you pay off $400 thousand in two years?” Everybody wants to know that. I answer that question in my book. I go through the steps, what I did. And in a nutshell, what it is, I deprived myself of everything for two years, which I wouldn’t do that in the same way if I had to do it again, because that’s just a great way to bleed your soul dry. But I deprived myself of everything. I sold everything that I could. But what really made a difference is cranking up the income. And I find that when people are dealing with debt, the easiest thing for them to do is to look at ‘How do I cut back on my expenses?’ Because cutting the cable bill, that’s fast. It may be painful, it may be annoying, but it’s relatively easy to do. Figuring out how to grow your income is not easy to do, but it pays off huge dividends on an ongoing basis. So I got really creative, as you probably read in my book, about what I needed to do with what was left of the business. That, going for the big wins is by far and away what’s going to help you pay off massive debts in a hurry. And then finally, the question I get asked is “How do I pay off debt?” People just want a blueprint for how to pay off debt. And now what I teach, knowing what I know after 20 years of dealing with this and researching this, start with your values. Figure out what do you really value. Because I find a lot of people who are, you know, debt-reduction specialists will just try a one-size-fits-all approach; ‘Well first you’ve got to cut back this and then you chop out that’. No you don’t. You absolutely don’t. You can be perfectly successful, but you need to figure out what matters to you. What are your non-negotiable values, right? So maybe you keep the pedicure every two months because it makes you feel fabulous. It just it feeds your soul. But you cut mercilessly on those things that do not go into your values. So people will say ‘Well cut out the gym membership.’ Maybe, but maybe not. So, if you start looking at your line items, all of your expenses, and saying ‘Is this congruent with my values, my top three to five values?’ You can very easily start to identify ‘You know what? No, that isn’t congruent with my values.’ And even if they all are, you might say ‘My house, it’s essential.’ But a $600 thousand house is not essential, right? Then you start saying, ‘Okay, so these items here are congruent with my values.’ And then you start evaluating them and saying ‘Am I happy with the amount I’m spending in these different areas? Do they need to be increased? Am I not spending enough on my health?’ for example, ‘Or do they need to be decreased?’ I teach a values-based approach, and that has by far and away been the most effective strategy that I’ve ever seen or employed. Doris Belland: I’ll just say that for a lot of the clients, when I said to them “What do you think that you could cut out?” If I had a dollar for every time somebody said “I honestly can’t see what I’ve cut out because I’ve cut back as much as I can.” We’re simply not aware of what we spend and where, so, one of the best ways to uncover that is to track everything. And it’s tedious, I know that. But if you track everything for three months you might say ‘I don’t spend that much on wine.’ I use wine as an example. Doug Hoyes: Mm-hmm, hypothetical example, I understand, yes. Doris Belland: Hypothetically, yeah, speaking about a friend here. Doug Hoyes: Well I think that’s fantastic advice. And we’re up against the clock here, so can you tell people how they can find you? What’s the website? How can they get the book? Where can they track you down? Doris Belland: Sure. So the book, the simplest place to go is Amazon. It’s available in Canada, Amazon.ca, Amazon.com in the U.S. and the UK as well. I am at yourfinanciallaunchpad.com. That’s my website. It’s being completely revamped so sometime soon it’s going to look fantastic. But they can find that there. I write a blog. And if they want money tips, I send out money tips once a week to my mailing list. So if they just shoot me off an email, Doris@yourfinanciallaunchpad.com, I’ll get them on there. Doug Hoyes: Excellent. Well Doris, thanks very much for being here. Doug Hoyes: So, Doris is the author of “Protect Your Purse”. And as she said, it’s available on Amazon, I actually read it on Kindle so you can get it on Kindle as well. Doug Hoyes: “Protect Your Purse: Shared Lessons for Women, Avoid Financial Messes, Stop Emotional Bankruptcy and Take Charge of Your Money”. As always, I’ll post a full transcript of today’s show and complete show notes, including links to Doris’s website and her book, over at Hoyes.com. That’s H-O-Y-E-S dot com. Until next week, thanks for listening. I’m Doug Hoyes. That was Debt Free in 30.